If you travel to Yogyakarta, you have to visit Malioboro street. 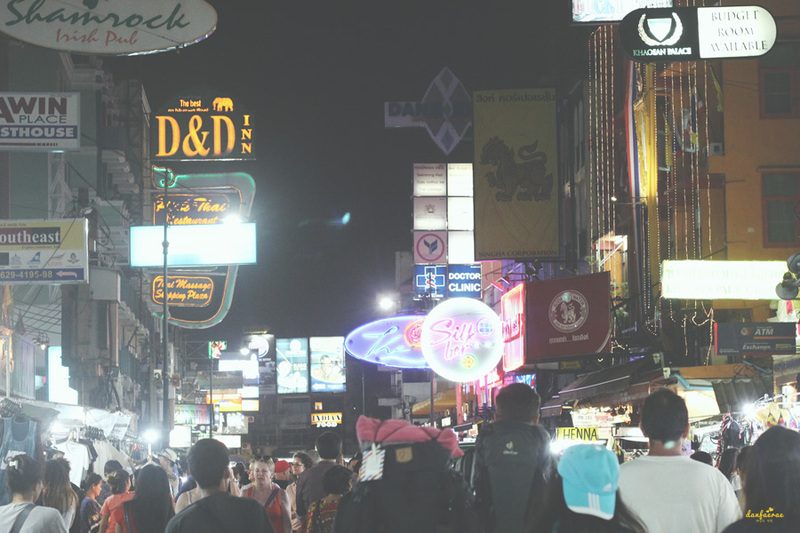 So did in Bangkok, you have to visit Khaosan Road to fulfill your wanderlust. 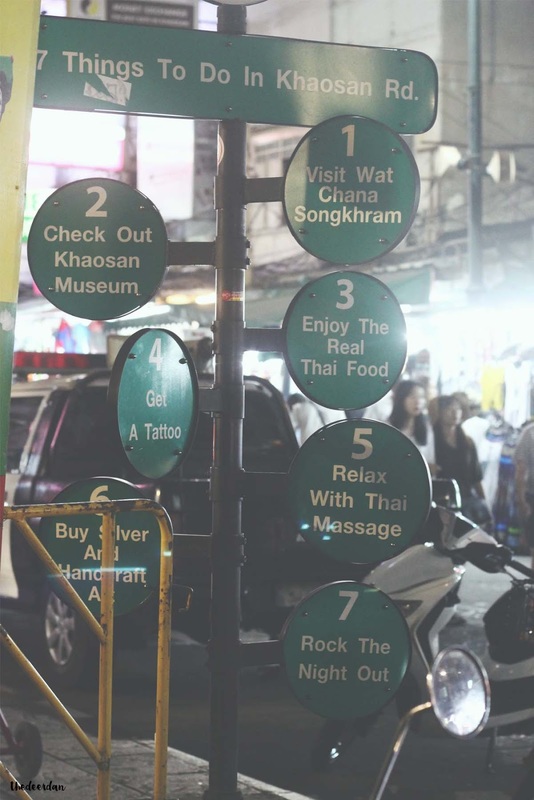 It had different atmosphere when you visit at day and night, so I suggest you to visit this street after 6PM. There would be a very noisy music from one bar to another, having a hard party. Since it was the center of the backpacker universe, you would seen that almost visitor here are tourist. Ah, if you are looking for fried bugs ( spider, scorpion, etc ) you can find it here. It was actually bother me how the bugs seller were walking around and offering the bugs to visitor in the street. I didn't even bother myself to look at it or even photograph it, yet my BF want to eat that bug. They put a charge if you dare to photograph it, about 100 Baht. The bugs itself already pricey, let's just skip it away and looking for mango sticky rice. We didn't stay any longer here, our hostel was far away from Khaosan rd. 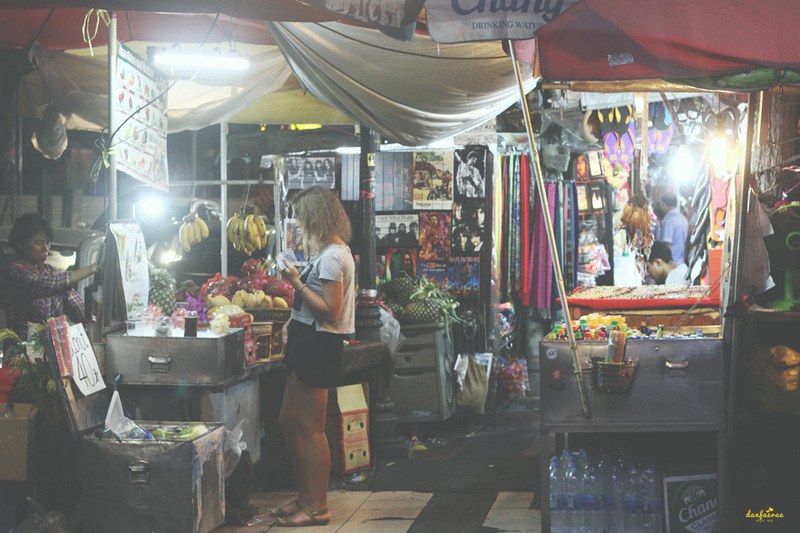 After bought the signature Chiang Mai bracelet and pant, and tasted the mango sticky rice, we headed back to Glur Bangkok. 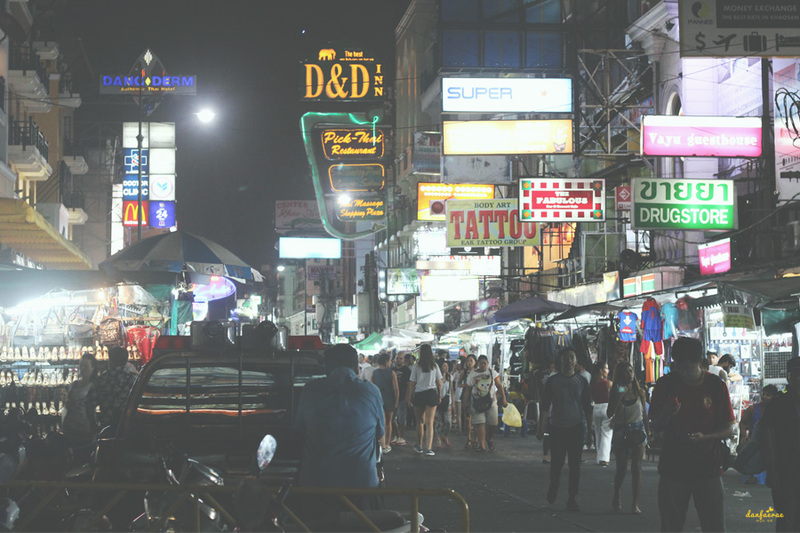 Khaosan rd was near to Wat Pho temple, Grand Palace and any other famous temple. 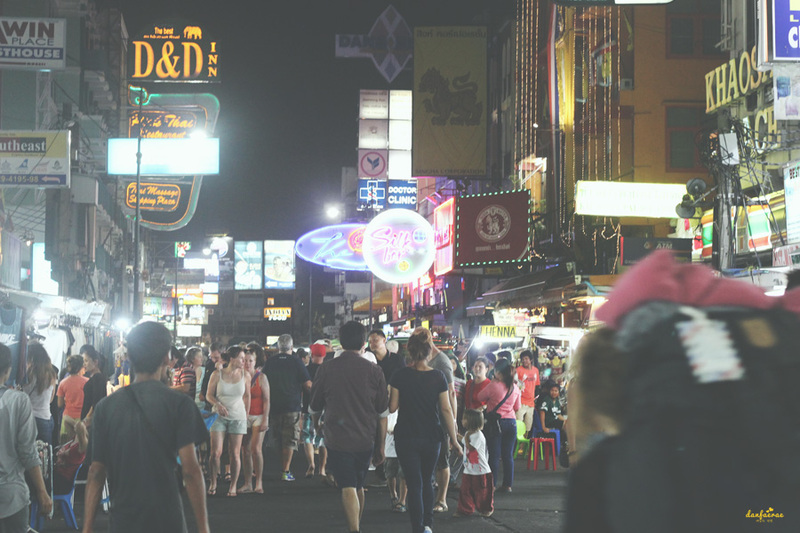 If you are focusing on exploring Thailand famous sight, you might considering to stay in Khaosan rd. Skip taxi or tuk tuk, just looking for a bus to going here, it's easy to find one. Since we are going to Khaosan rd from Platinum Fashion mall, we took Bus number 60 ( non-AC ). We find difficulties to reach Khaosan rd, the Bus driver assistant can't speak English! He knew we were going to Khaosan rd but we miss his explanation on how to get there. We need to walk about 500 m first. Thanks to Google Maps. You can take Bus number 15 ( non-AC ) from Siam BTS to Khaosan Rd, and vice versa.